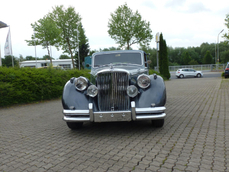 Allgemeine Beschreibung : Vintage and Prestige are proud to offer this 1950 Jaguar MK V 3.5 Litre 3-position DHC For Sale. The Jaguar MK V was launched at the 1948 London Motor Show at the same time as the XK120 with which it shared the stand. However, the Mark V vastly outsold the XK120 by roughly 5,000 cars per year as compared to 2,000 cars per year for the XK120. The new large saloon did not get the new overhead camshaft XK engine however, instead keeping the overhead valve pushrod straight 6 units from the MK IV, except that for the Mk. 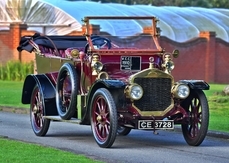 V no 1.5 litre version was offered. Claimed power output in this application was 104bhp for the 2664cc Mark V and 126 bhp for its more popular 3486 cc sibling, as indeed this example presented is. The chassis was new with independent front suspension by double wishbones and torsion bar, an arrangement that would be used by Jaguar for many future vehicles. 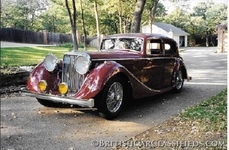 The styling of the car was traditional Jaguar with upright chrome grille complete with the leaping Jaguar radiator cap mascot available as an option. The wheels were 16-inch steel disc type, significantly smaller than the 18-inch ones on the Mk. IV. From the side, a distinctive styling touch was a ""tuck in"" curve at the base of the rear window following the curved profile of the side glass. 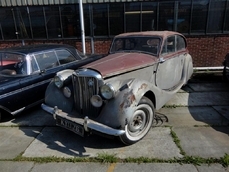 Rear wheel spats were standard and there was also a drophead coupé version which is now highly sought after. A 3.5 litre car tested by The Motor magazine in 1949 had a top speed of 90.7mph and could accelerate from 0-60 mph in 20.4 seconds. So competent were these cars that Jaguar's inimitable test engineer Norman Dewis used a Mk. V regularly. This stunning example that we have the privilege of handling is not only presented with the more desirable 3.5 litre engine but the drophead configuration are becoming increasingly hard to find. 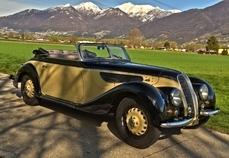 BSL 448 was completely restored by Davenport cars in the late 90’s and finishing in the year 2000. The restoration is heavily documented and the end result was truly marvellous. The MK V is still offered in beautiful condition today which is a testament to both the restorers and high level of car taken with BSL since this point. 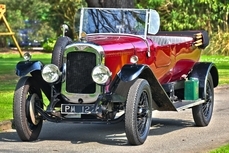 Thanks to recent mechanical works she is driving and handling beautifully and is in our showroom ready for viewing. 1950 Jaguar MkV 3.5 Litre 3-position DHC is listed zu verkaufen on ClassicDigest in Essex by Prestige House for Preis nicht verfügbar.